In 2017, the Beacon group made grants totaling $144,000 to 12 nonprofit organizations. The mission of AAANY is to support and empower the Arab Immigrant and Arab American community by providing services to help them adjust to their new home and become active members of society. Our aim is for families to achieve the ultimate goals of independence, productivity, and stability. Founded in 2001 after 9/11, AAANY supports Arab immigrants through legal services, case management, counseling, health care, ESL classes, GED prep, and various youth programs. AAANY has served over 25,000 people since inception. The grant will be used to improve the security of the group’s computer network or to support a receptionist. Atlas works with immigrant youth ages 14-24 to provide access to legal services, educational opportunities, and leadership development in a space governed by the youth themselves. Located in Brooklyn, Atlas currently serves over 700 young people from across the greater NYC area. Many of Atlas's members have experienced serious life challenges including homelessness, family abuse, persecution, and/or violent crime. But in spite of the obstacles facing them, many of Atlas's members grow into powerful advocates and spokespeople, learning about the law and their rights as immigrants, and sharing those lessons with people in their communities. The grant will provide services directly to these youth, including direct legal representation on immigration cases, college and career development, paid leadership and advocacy training programs, counseling services, and general support for their drop-in community center. HCN's mission is to help reduce recidivism by working with people inside prison and after release to ensure a successful transition as a productive citizens. Through support groups and other activities HCN seeks to build self-esteem and a sense of community, so they are better able to address the frustrations, pressures and discrimination men and women face trying to re-enter society. The grant will support a new weekly support group in the Bronx and expand anger management workshops. HPAC works with students and families, schools, and partner organizations to create educational opportunities and pathways towards academic success and career possibilities in Hunts Point. HPAC provides direct educational programming to children from birth through high school graduation, including college access counseling, and family support. HPAC annually serves over 250 students and reaches over 2,000 low-income students through community events and school partnerships. The grant will support its early childhood program. Impact is the youth division of New Heritage Theatre Group, the oldest not for profit black theater in New York City, (est.1964). IMPACT (est. 1997) is a free program focusing on mentoring vulnerable youth (ages13-18) using creative repertory theater (dance, music, leadership training, spoken word, painting and writing) to instill confidence and skills. The Beacon grant will increase the number of students able to participate in the program each year and compensate alums who volunteer for the program. NEW prepares, trains,and places women in careers in the skilled construction, utility and maintenance trades,helping them achieve economic independence. To support women as they enter fields dominated by men, the program includes placement in apprenticeship programs after graduation. The Beacon grant will buy work boots and other clothing needed on the job. Promoting Access to Specialized Schools in New York City (PASSNYC) is a not-for-profit organization dedicated to broadening educational opportunities for New York City's talented underserved students. Their mission is to increase the diversity of students sitting for the Specialized High School Admissions Test (SHSAT). Activities include providing school information and free preparation for the SHSAT through Collective Impact collaboration and technology tools. Since May 2016, over 1,800 public school students have registered for their free online SHSAT prep portal - NYC's first. The Beacon Group grant will expand support of volunteer activities. A Brooklyn-based social development organization, PNB provides coaching and positive life experiences for adolescent girls in distress. PNB operates programs in schools and engages girls in a range of community activities with the goal of empower girls and providing them opportunities to learn and grow beyond school. Including girls living in homeless shelters, the program offers creative workshops, real-world experiences and academic coaching. The Beacon grant will support a summer camp and fall program with a rich range of activities. The program provides transportation to sites and events throughout the summer. 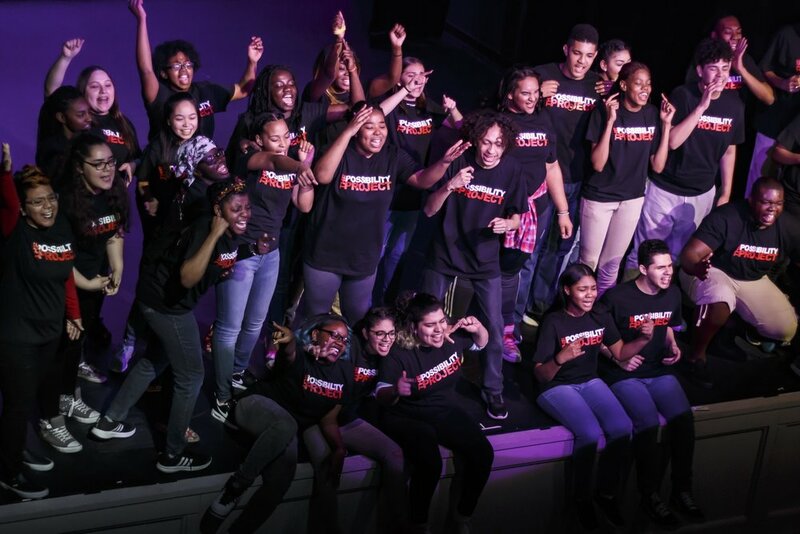 Using the performing arts and community action as vehicles, The Possibility Project empowers teenagers to transform the negative forces in their lives and communities into positive action and to build relationships across differences, resolve the most difficult conflicts they face, and become leaders for a more peaceful world. The Beacon grant will support the foster care program. A local chapter of Slow Food USA, the NYC Slow Food has been in existence since 2001. They serve 1500 youths during the school year through their affiliation with schools. 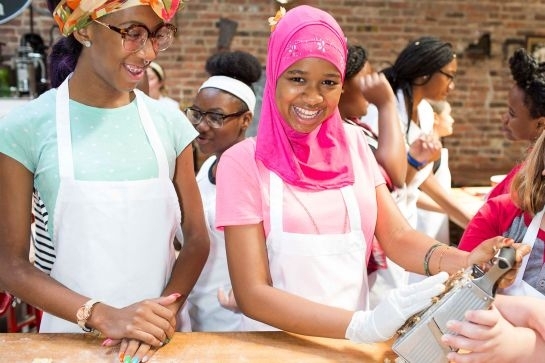 During the summer, the program runs a farm called Ujima that serves 120 students per summer for tuition-free weeks of farming, education and healthy eating. The Beacon grant will allow the group to operate two more farming plots and compensate additional farm internships. UPofNY is an alternative for juveniles to school suspension and involvement in the criminal justice system. Based in the Bronx, UP has programs embedded in three high schools. Local courts use the program as an alternative to incarceration. With funds from Beacon, UP will increase the number of paid mentors and schools participating in the program and establish a leadership retreat. UpSA is a free soccer program for kids aged 6-16, in northern Manhattan. The group provides inner-city youth high quality soccer coaching and promotes soccer to encourage productive sports activities to local underserved children. The Beacon grant will support a “girls can play” program starting with summer camp in 2017 and continuing into the Fall.